Comes with an all-black interior. 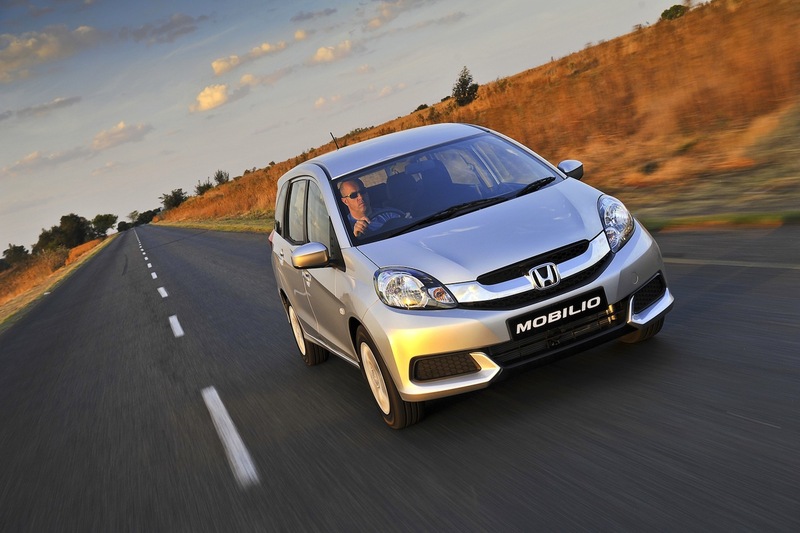 The Honda Mobilio has been launched in South Africa this month in three variants. When the Brio-based MPV was launched in India in July this year, Honda Cars India said that it would commence exports of the car to markets like South Africa and Nepal. South Africa is the second export market for the India-made Mobilio, as the Nepalese launch was held in September at the NADA Auto Show. 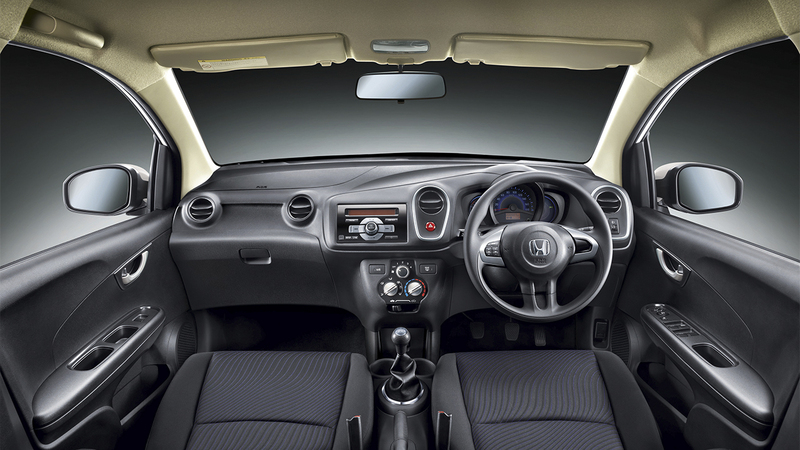 A black dashboard, along with dual front airbags, ABS and EBD are standard across the range. For South Africa, the Mobilio is offered with the 1.5-liter four-cylinder i-VTEC petrol engine making 119 PS (117.32 bhp) and 145 Nm of torque. The MPV can be had with the 5-speed manual transmission or with an automatic transmission. With the manual, the Mobilio does 0-100 km/h in 10.8 seconds and achieves 16.39 km/l. With the CVT, the car takes 11.3 seconds for 100 km/h and returns 16.66 km/l. The Mobilio in South Africa is sold only with the petrol engine. The Mobilio is available in three variants namely Trend, Comfort and Comfort CVT. All variants are equipped with ABS, EBD and dual front airbags as standard, and get a full black interior. Compared to the Trend variant, the Comfort gets features like body-colored door handles and wing mirrors, driver seat height adjuster, music system with 4 speakers, rear AC and a remote controlled central locking system. The manual variants of the Mobilio in South Africa are priced between 179,990 and 198,990 Rand (INR 9.95 to INR 11.01 lakhs). A Honda Cars India spokesperson told IAB that though the manual-dominated market is on a close watch, the Mobilio CVT will not be introduced in India anytime soon.